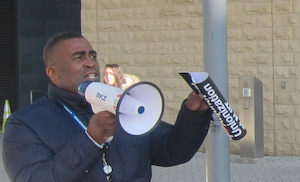 NEWARK…NJIT adjunct faculty, who voted to form a union in May, rallied for a fair first contract on campus Wednesday, calling for better pay, recognition of their critical roles in the campus community and opportunities for professional development and career advancement. Jeff Reaves believes that NJIT could do a better job of creating bridges to full-time employment for adjuncts by integrating campus functions and research or other professional responsibilities between semesters. Enrollment is strong at NJIT because students are attracted to the new technologies such as developing applications and adjunct faculty members offer significant real-world professional and corporate background to the student experience. After graduating from NJIT with dual masters’ degrees in Information Systems and Environmental Sciences, Reaves spent years implementing technology systems with a specialty in legal systems before discovering his aptitude for teaching while training to roll out the systems. “NJIT has the resources to compensate adjunct faculty fairly and create additional professional opportunities for full-time employment and accompanying benefits such as health insurance,” he said. 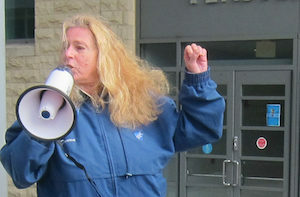 Bristol and Reaves were among the 300-plus adjunct faculty members who voted to form a union in May, affiliating with Rutgers American Association of University Professors-American Federation of Teachers.